These days, the eyes of the world are focused on Canada more than ever. Sure, some of that ogling is directed at Prime Minister Justin Trudeau, a world leader whose progressive leadership is occasionally overshadowed by his good looks, but the world’s second-largest country was due for some attention anyway. That’s partly why The New York Times gave Canada the No. 1 spot on its 52 Places to Go in 2017 list — because, as its editors declared, “It’s a world unto itself.” The rankings are often assigned to cities and regions, so why did a whole country earn the top spot? One big reason is that Canada marks 150 years as a independent confederation this year, meaning there are a ton of sesquicentennial celebrations, now coinciding with a favorable exchange rate with the US dollar — did I mention it’s also the 375th anniversary of Montreal to boot? Here’s why 2017 is the year to discover Canada, whether you’ve been there before or have yet to drift north. If ever there were a country with boundless natural wonder, it’s this colossal land that occupies the majority of North America. This year’s Canada 150th Legacy Project will encourage more visitors than ever to those untouched lands and waters, thanks to free admission at its 46 national parks, as well as the country’s national historic sites and national marine conservation areas — sign up for a Discovery Pass, then start planning your trip. I’d recommend visiting Kluane National Park and Reserve in the Yukon Territory, home to Mt. 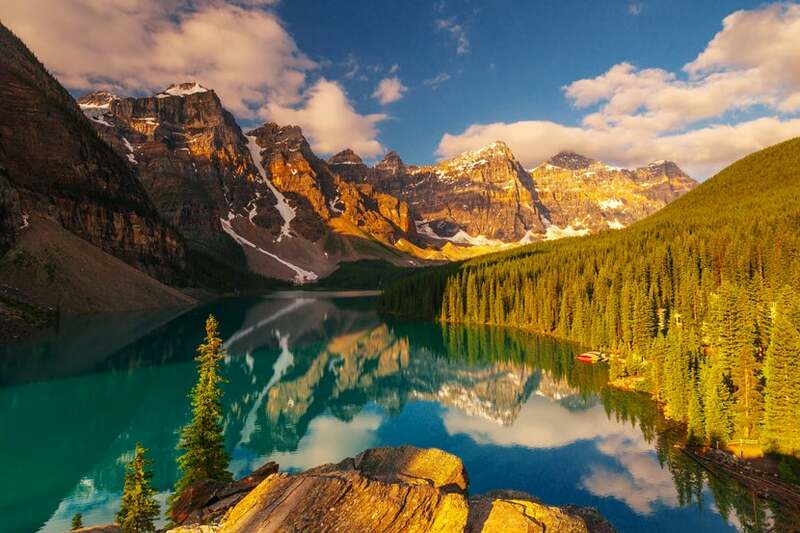 Logan, Canada’s highest peak; or Fundy National Park in New Brunswick to see the world’s highest tides; or the crystal-blue lakes and picture-perfect snowy peaks of Banff National Park in Alberta, Canada’s first national park. Banff National Park in Canada. Image courtesy of Noppawat Tom Charoensinphon via Getty Images. If you’ve ever tasted oysters and mussels from Prince Edward Island, Nova Scotia and Canada’s other east-coast provinces, just imagine trying them fresh from the waters from which they came — the lobster here alone is worth the trek, and despite what you may have heard, you can eat them and other shellfish fresh any time of year. Beyond the seafood, these fertile regions are covered with sustainable farms whose fresh produce makes dining everywhere from Labrador to New Brunswick deliciously unforgettable. 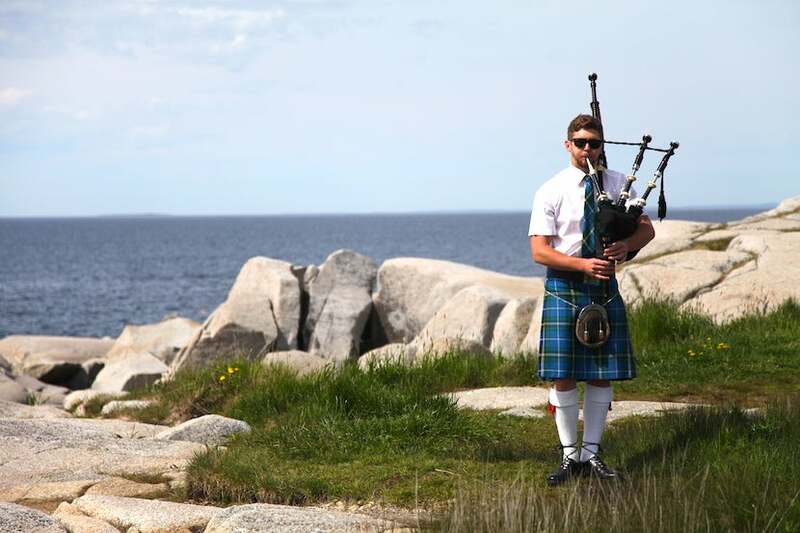 Hear the bagpipes calling at Peggy’s Cove in Nova Scotia, then feast on seafood. Image by the author. The world’s longest land border (at 5,525 miles) divides America and Canada and the vast majority of the country’s 35 million plus residents live quite near it, dwelling in vibrant cities where residents welcome visitors and expats of every stripe. Each Canadian city offers unique traits, whether it’s Toronto’s urban and artistic buzz, Vancouver’s rich green parks and easygoing charm or Halifax’s flourishing wine, micro-distillery and culinary scene. Even the smaller cities have it going on, like Winnipeg, for example, with its budding indie restaurants and craft-cocktail lounges. And then there’s Montreal, which has emerged as a world arts and gastronomic capital — this year the city gets even more exciting with an anniversary of its own: the 375th year since its founding. 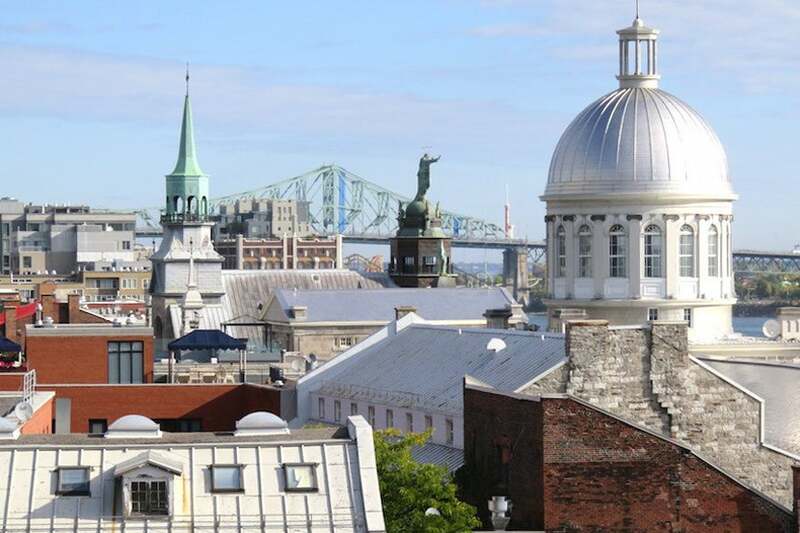 Montreal celebrates its 375th anniversary with civic and cultural events all year long. Image by the author. Rain or shine, snow or sun, Canadians love to celebrate, which means you can find festivals any time of year, from the rodeos of the Calgary Stampede to the Montreal International Jazz Festival to the sleigh races of Quebec City’s Winter Carnival. And you can expect 2017’s festivals to offer even more 150th-anniversary flair, and, in the nation’s capital city of Ottawa, to go over the top — the annual Canada Day fireworks extravaganza on July 1 is something you won’t want to miss. 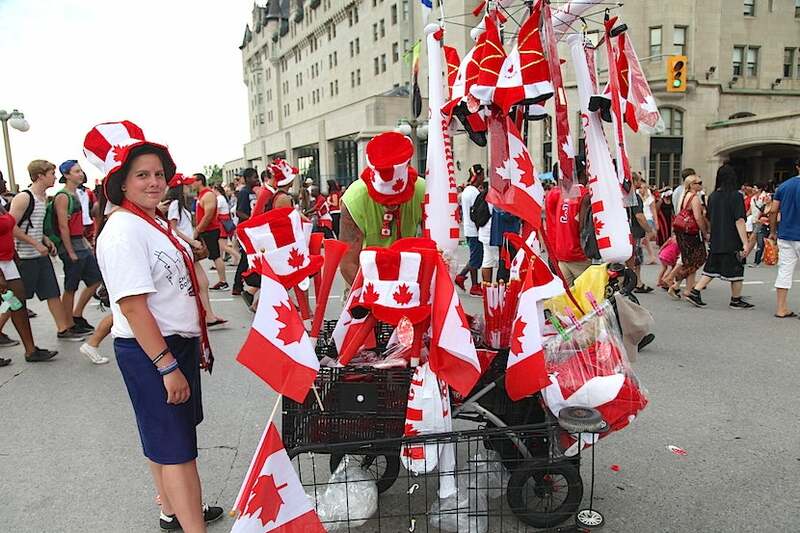 This year’s Canada Day in Ottawa will be a capital celebration. Image by the author. Unlike America’s “melting pot” metaphor, Canadians prefer to use the word “mosaic” to describe the country’s diverse population. It’s a way to welcome immigrants and visitors alike, all while honoring everyone’s cultural heritage. That’s pretty Canadian. After all, it’s the best country in the world — second only to Germany — according to U.S. News & World Report’s 2016 rankings, which calculated attributes like quality of life, adventure and international prestige. On a basic human level, it’s easy to enjoy the average Canadian citizen’s warmth, curiosity and courtesy. Locals are usually glad when you visit, happy to chat and embody ordinary human kindness. In the eastern provinces, where centuries-old Acadian-French heritage lives on, locals don’t say “Cheers” with their drinks, but instead, toast by saying “Sociable” — usually with a French accent. And sociable they are. And there’s never been a better year to head north enjoy what they have to share. 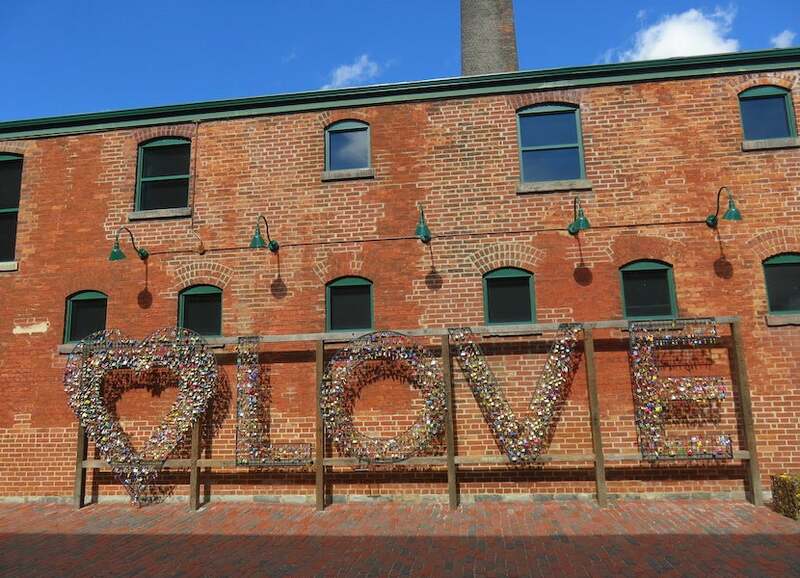 Toronto’s Distillery District offers plenty of “love.” Image by the author. What are some of your favorite things to do in Canada? Tell us about them, below.